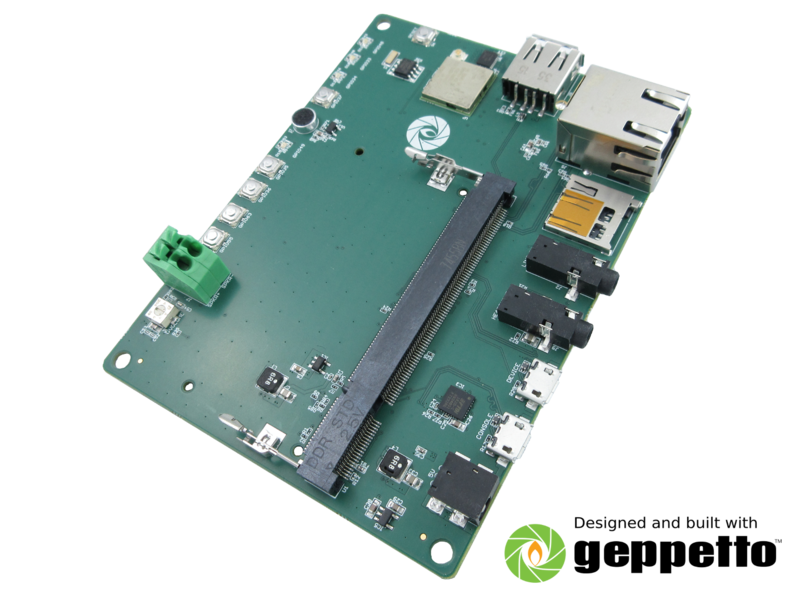 Amazon Alexa, say hello to the Chatterbox AVS for Colibri iMX7 | Gumstix, Inc. | Gumstix, Inc.
We are happy to announce the new Gumstix Chatterbox for Colibri iMX7 evaluation board and Toradex Colibri iMX7 Connector in Geppetto. 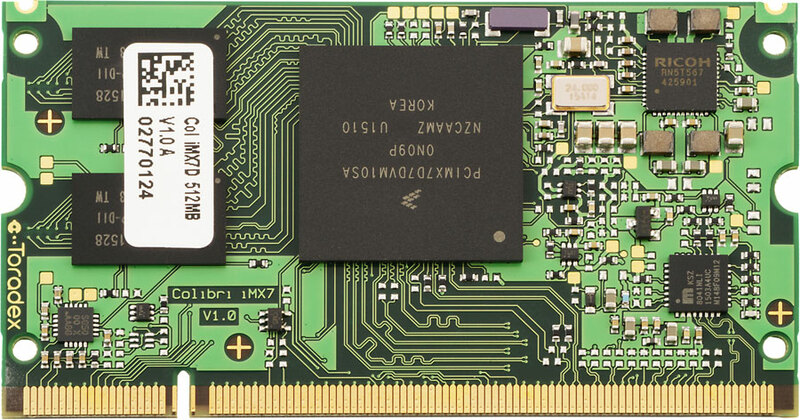 They both support the Toradex Colibri iMX7, a powerful IoT SOM with an ARM Cortex-A7 CPU, integrated Cortex-M4 microcontroller and a full complement of features. The Gumstix Chatterbox is an evaluation board designed by Gumstix in Geppetto and conformant to Amazon’s Alexa Voice Service functional design guide. It bares all features of the Toradex Colibri iMX7 SOM needed to implement your own product with Alexa (Amazon’s cloud-based voice service). The board is now available in our store for $140.00. If the Chatterbox is not exactly what you’re looking for, you can now customize it in Geppetto with our new Colibri iMX7 (Toradex) Connector. The new module can be found under the ‘COM Connectors’ shelf in the Geppetto module library. You just need to drag and drop it on your board and you will be on your way to designing a custom board with the iMX7. 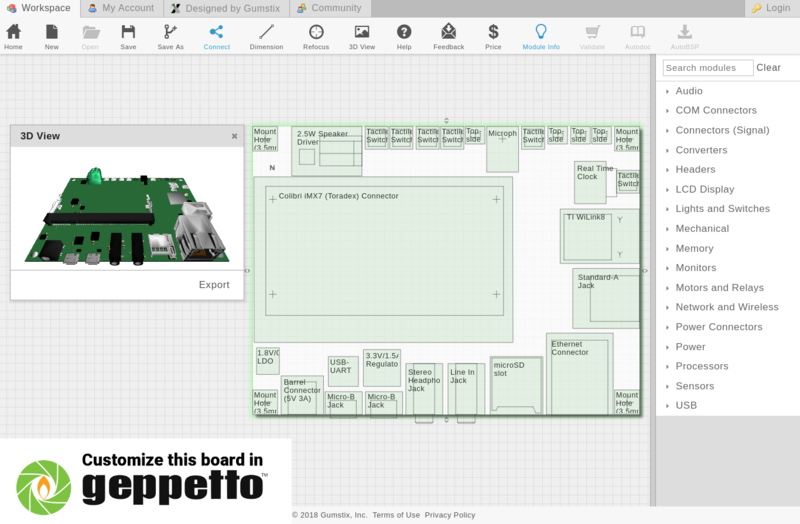 Geppetto is our free online design tool that allows you to create a custom hardware design — no electrical engineering required from you. Moreover, we handle everything, from sourcing of parts to production, to ensuring that your board boots out of the box. We take care of production while you focus on your software or application. We will deliver your pre-tested, production-ready boards after 15 business days.